Apples are fruit. Apples grow on deciduous trees. A deciduous tree is one that loses its leaves in the winter. 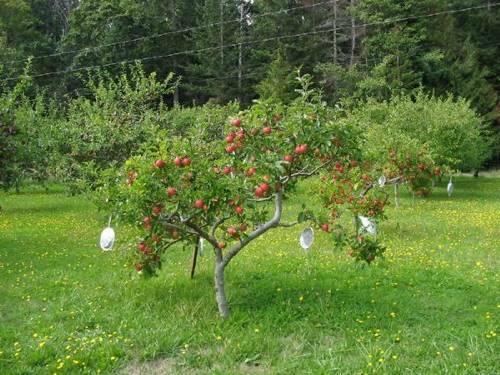 Farmers grow apple trees in orchards. An orchard is a field full of fruit trees that have been planted to harvest their fruit. The largest producers of apples are the United States, China, France, Italy, and Turkey. The apple is the most popular fruit in the world. 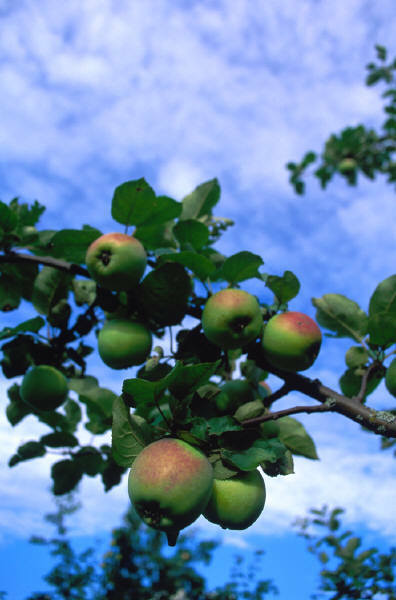 The apple tree grows mainly in the temperate areas of the world between 30° to 60° north and south latitudes.